A couple months ago, I briefly mentioned FITS Sock Co. after talking to them at SIA. I’ve been using their Ultra Light Ski sock exclusively since then, and have become a big fan. For an “ultra light” sock, these look and feel relatively bulky – I assume because of the twisted pairs of wool they use, rather than weaving with single threads. This apparent bulk immediately disappeared, though, once I put my foot in to my too-narrow boots. There’ve been no signs of durability issues at all. There are seven (seven!) patents on these socks between certain construction methods and the fit, and they all add up to one great sock. 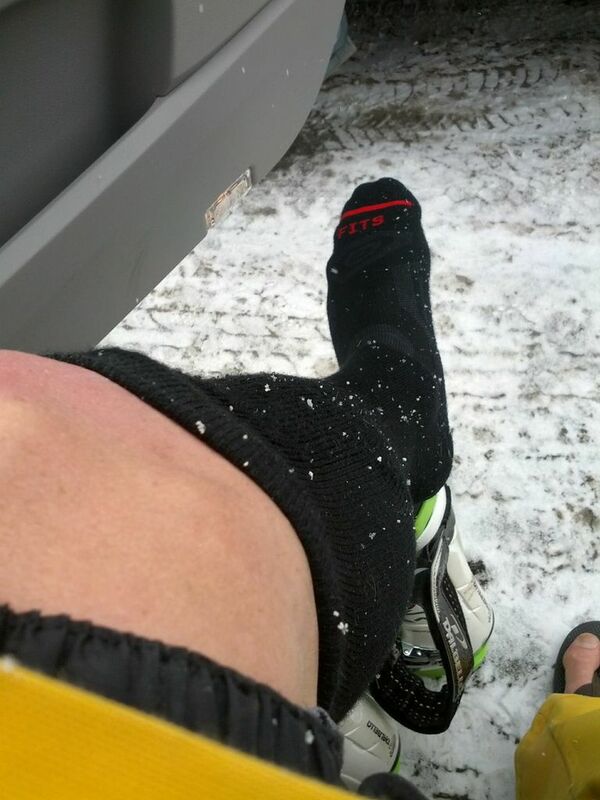 Most impressive to me was the sock staying up through entire days (thanks to the addition of nylon threads throughout the entire sock) in my low-cuff AT boots – my old standby, Smartwool Ultra Lights, would have sagged and bunched up from that. Best yet, the socks are made here right in the USA. I was given these socks for free, but I wouldn’t hesitate to pay full retail for them.